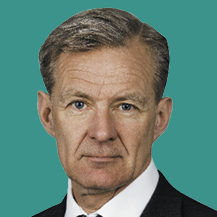 Former United Nations Undersecretary-General for Humanitarian Affairs and Emergency Relief Coordinator, Jan Egeland is Secretary General of the NGO Norwegian Refugee Council. Last January, he gave us an interview during which he reviewed the current major humanitarian issues. Humanitarian Alternatives – The space available for humanitarian action is largely defined by the politics that shape crisis settings. While humanitarians have some agency in organizing and shaping the response, it is the broader political context that restricts or facilitates life-saving humanitarian action. Referring to the current context, the President of the International Committee of the Red Cross (ICRC) Peter Maurer referred to “pre-Solférino” armed conflict situations while others have talked of “IHL(1)International Humanitarian Law (IHL).-free war zones”. What are your views? Is this too negative a perspective? And what are the main qualitative changes for you in recent years? Jan Egeland – I’ve been in humanitarian work since I was nineteen, 41 years ago then, when I’d left Norway to go to Colombia, which was already in a cruel civil war. In these 40 years I have been responsible for saying too many times: “It has never been worse”. Every generation of humanitarians is feeling overwhelmed and full of indignation when meeting these men with guns and power doing whatever they please, it seems with total impunity. We feel powerless and we want to cry out to the world: “it’s never been worse”. And we’ve seen regression, especially since 2012, that reflect the population displacements. The Norwegian Refugee Council (NRC) has an internal displacement monitoring-centre and together with the Office of the United Nations High Commissioner for Refugees (UNHCR) we provide the global displacement figures. Around 2012, the figures went through the roof. We went from between 40  and 50  million persons displaced by conflicts and violence to now more than 65 million. That’s the highest number we have registered since the 1940s. There has been a regression with the war in Syria, connected with the war in Iraq, in Yemen, in South Sudan or in Somalia. However, as I was a Deputy for the Foreign Minister of Norway responsible for humanitarian relief in the 1990s, I would firmly say that these years were much worse in terms of killings and violence. It was the age of the genocides. We haven’t seen that kind of genocides – as those we had in Rwanda, Bosnia and the Balkans at large – for a generation now. So the perspective is bad but there’ve been many periods that have been equally bad for civilians over these last 150 years and since the battle of Solferino. H. A. – David Miliband, Director of the International Rescue Committee (IRC), has recently stated that we’re less confronted to a multiplication of humanitarian crises per se, than to a crisis of diplomacy and the plague of impunity. Would you agree with that statement? I was in Bosnia Herzegovina, at that time, the UN was at its most impotent and we – the humanitarians – were really “feeding” Srebrenica. My organization was among those feeding the people of Srebrenica until they were collectively massacred. It’s dangerous to say that this is more an age of impunity than before. When did Congo have a rule of law? With the International Criminal Court we have actually seen an age of a few warlords meeting justice. But this is the age of us having enormous progress in assistance and not commensurate progress in protection of civilians. There should be prevention of future violence. I see it in my work as Special Advisor to the United Nations Special Envoy for Syria, in trying to get assistance to the conflict zones where there are civilians. We’re failing in Eastern Ghouta; we’re failing in Idlib, even though we had all of the concerned Nations around the table: from Russia to the United States; from Iran to Saudi Arabia. It’s a total failure of international diplomacy and we shouldn’t have that in 2018; we should be as ambitious in protection of civilians as we have become in assistance. H. A. – It still seems indeed that protection is always “the bride’s maid” and never “the bride” and there are obvious external reasons for this. But what about the internal reasons? For example, looking back at the final phases of the war in Sri Lanka, where not only the international community was uninterested in dealing with protection, but also the UN agencies or the leaders of the UN in the country. Since then we’ve had the lofty statements on the centrality of protection. Is this changing the workings? What else could we do? J. E. – The centrality of protection –according to declarations from the United Nations and from the humanitarian community– is not happening. The central thing is assisting people. Why? The first reason is, basically because protection is more difficult, and what we – as unarmed humanitarians – are good at is the logistics of relief work. It’s amazing what the World Food Programme can do in bringing enormous quantities of food cheaply and effectively to places where we would have given up before. We let people starve to death in the 1980s. We’re not doing that anymore. Four famines were predicted last year. None of them happened, though millions of people remain at risk and we still need to mobilise massive support for these crises(2)This clarification was added after the interview.. The second reason is that we’re not having commensurate investment in trying to have all of us monitor, witness, do advocacy… look at how new technology could help us to make people accountable. I am critical of what our field is doing in protection. I feel that some of the protection-based agencies could do more to seek partnerships. I also think too many humanitarians are too scared of offending whoever is in charge to avoid risking access or a presence. Well, no! If we’re witnessing people being massacred, we shouldn’t stay there. That’s the whole lesson of Sri Lanka of course. The UN said we should have spoken out even though there was a risk of being thrown out because we ended up as passive witnesses to people being massacred. Protection is the biggest challenge we have ahead and we need to sit down and talk to change our behaviour. H. A. – From a different angle, one of the depressing realities of our time is the difficulty of engaging citizens on slaughter and survival issues. It’s getting every time more difficult: we observe it in Syria or about the drowning in the Mediterranean of people seeking refuge. These situations are outrageous and most of us just sit and wring our hands. So why is there no indignation anymore? What can be done to inform and mobilise citizens and civil society on these problems? J. E. – There needs to be more outrage and we need to mobilise more. That is part of our failure. I think part of the protest is different today. It’s happening in social media, happening on the Internet; it’s happening in other ways. I think most of us would have protested a lot in front of embassies in our youth. That’s not how the youngsters do it in our time. When I was young, there were, in the humanitarian world, a hundred organizations that could go anywhere in the world to do humanitarian relief in conflicts. Now there are perhaps a thousand organizations! NRC has more than 14,000(3)According to NRC’s most recent figures. field workers. It is ten times bigger than it was only 20 years ago. So, it’s different now. Is it worse, the engagement? I don’t know. It’s different. H. A. – Norway is not part of the European Union (EU), but it seems to go along with the general lack of political will in Europe on addressing the so-called “migration crisis”. Meanwhile, Lebanon, Turkey, Jordan, have provided shelter to millions who have fled Syria and, more generally, 85 % of all refugees are not in our countries, they’re in these countries. Are there any pressure points that might make things change? J. E. – I can agree with you, Norway and Switzerland are also part of this. It’s not Brussels; it’s Europe as such. I would, however, say it’s not uniform in our continent. Sweden and Germany are heroic compared to many countries of the Central, Eastern European countries such as Slovakia, Czech Republic, Poland or Hungary, whose nationals were very prompt in asking for asylum during the communist time in places like Scandinavia, but whose current leaders prefer to say they have “no responsibility to receive anyone today”. Sweden and Germany took more than the other 35 Nations combined! What is happening now is that we are all of us, as Nations, willing to pay money for poor countries to take all of the refugee responsibility upon themselves. We pay Lebanon for taking more Syrians than all of Europe. I think that’s unfair, really. The responsibility sharing that was agreed at the Summit of Obama in New York(4)Reference to the High-level Leaders’ Summit on Refugees hosted by Barack Obama on the margins of the UN General Assembly general debate in September 2016. has not happened. 1. ￪ International Humanitarian Law (IHL). 2. ￪ This clarification was added after the interview. 3. ￪ According to NRC’s most recent figures. 4. ￪ Reference to the High-level Leaders’ Summit on Refugees hosted by Barack Obama on the margins of the UN General Assembly general debate in September 2016. 5. ￪ China, France, Russia, the United Kingdom, the United States of America. This entry was posted in Issue N°7 – March 2018, Transitions (VEN) on 15 March 2018 by Alternatives Humanitaires.